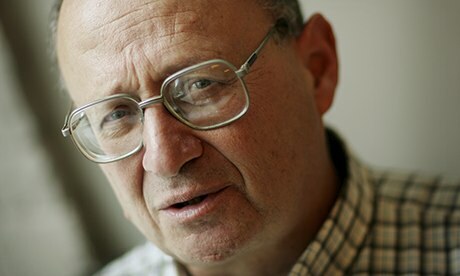 Norman Geras—professor emeritus of government at Manchester University, philosopher, cricket fan, country music lover, Marxist, liberal socialist, democrat, political blogger behind the influential Normblog—has died of cancer aged 70. His interests were rich and varied, but his thought and writings form an integrated whole. He was centrally and always a man of the left, but one who became a scourge of those parts of left/liberal opinion which, in his view, had slid away from commitment to the values of equality, justice and universal rights, and in so doing ended up by excusing or condoning racism and terrorism. It was a runaway success. Thousands of readers all over the world were drawn by Norm’s mixture of serious political and philosophical reasoning, and more lighthearted pieces on cricket, Manchester United, country music, films, books—whatever he was currently interested in. The most striking feature of the blog was Norm’s distinctive arguing style: independent, rigorous, fair to adversaries, exceptionally clear, always (well, almost always) civil—and that in a blogosphere noted for widespread vituperation and insult. Although Norm did not abuse his intellectual or political adversaries, he could be scaldingly critical of arguments that in his opinion constituted an apologia for terrorism or tyranny, or one-sided attacks on what he thought was humanity’s best shot yet at a just form of political life: the liberal democracies of the west, flawed and in need of reform though they are. Norm’s original area of research was Marxist political theory and he produced some highly influential books in this area, including The Legacy of Rosa Luxemburg (1976) and Marx and Human Nature (1983), in which he argued, rather against the progressive orthodoxy of the time, that there is such a thing as a determinate human nature, and that Marx himself had recognised this. His work inspired a generation of Marxist scholars. His concern about human nature, especially its darker elements, led him to explore the Holocaust: he was among the first to examine this terrible event from within the discipline of political theory. Out of this research came his book The Contract of Mutual Indifference (1998), in which he argued that we owe a duty of help to those who are suffering under terrible oppression. He contrasted this duty with the practice of so many who observed the Nazis’ genocidal activities and did nothing, suggesting that what we actually believe in is something like a contract of mutual non-assistance: I won’t help you in your desperate straits, and I won’t expect any help from you either. This, as Norm argued, is morally intolerable: our common humanity makes claims on us, to protect each other from catastrophe, if we can. One of Normblog’s constant targets was the deplorable spread of political double standards, notably in hostility to Jewish self-determination and self-defence, especially in the form of the state of Israel. Norm argued forcefully that some of what was presented as criticism of Israel was a thinly disguised form of antisemitism. Tolerance of this could be found in some of the main organs of liberal/left opinion, he felt, including what was once his own daily newspaper of choice, the Guardian. He was not religious, but being Jewish was an important part of his identity, and he saw, particularly in the light of the European genocide, the need for a state in which Jews could determine their own future. He also thought that Palestinians needed a state of their own and was always prepared to voice his moral and political objection to Israel’s presence in the West Bank, and in Gaza until the Israeli withdrawal. Norm lost many erstwhile comrades on the left because of his hostility to terrorism and his support for Israel’s existence, and this distressed, but didn’t deflect, him. His concern about these and related issues led him to work with others in the drawing-up of the Euston Manifesto, published in 2006, a statement of principle calling for an alignment among liberals and the left of those who are committed to democracy and anti-totalitarianism, who unambiguously reject terrorism and tyranny, and who unequivocally support freedom of speech, political liberty and universal human rights. He was one of the four main authors of that document and his academic and blogging work was a major inspiration for it. This entry was posted in newspaper articles about normblog and tagged Eve Garrard. The Guardian, Rosa Luxemburg, September 11, The Contract of Mutual Indifference on October 20, 2013 by The Editor.